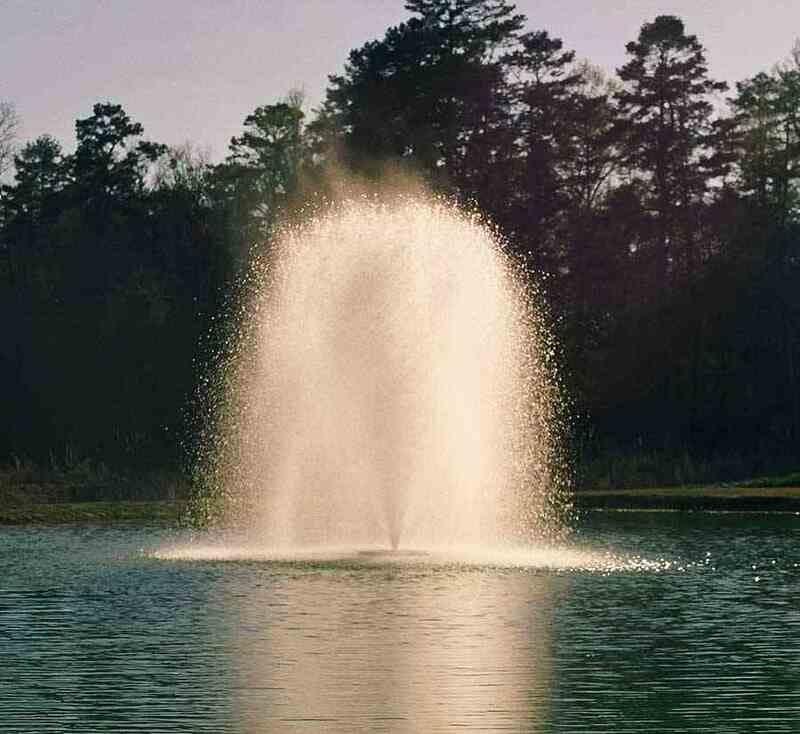 Our Kasco 5.1JF (Single Phase) and 5.3JF (3 Phase), 5 hp Floating Decorative Fountain or Decorative Fountain Aerator is great for larger ponds or when multiple large patterns are desired. 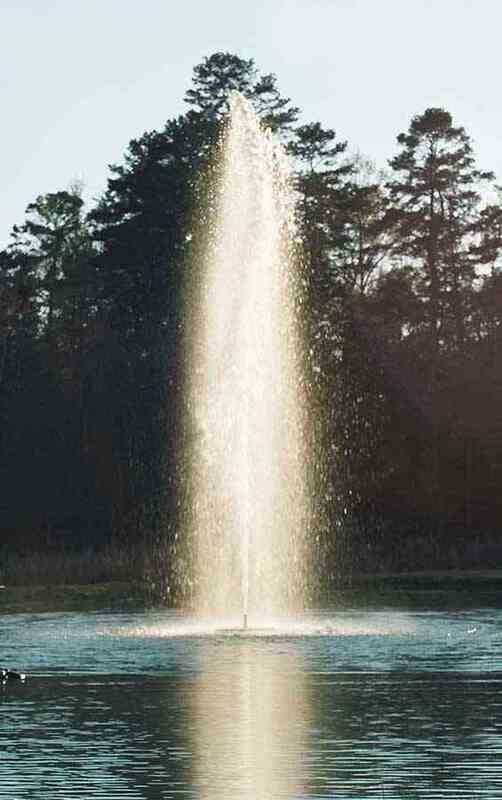 The Kasco 5.1JF & 5.3JF Floating Aerating Fountains are unique for its size because it comes standard with 6 interchangeable nozzles and can be operated without a nozzle to give you 7 fountain patterns ranging from 26′ in height to 50′ in diameter. 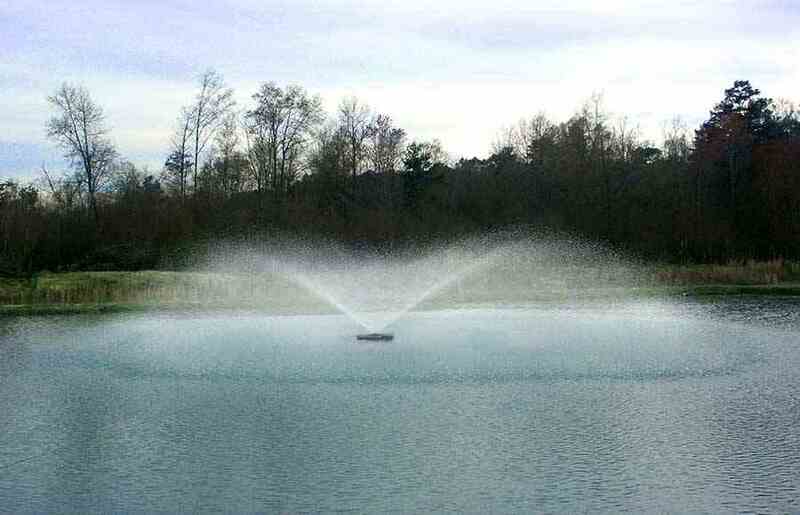 With 7 multiple fountain patterns, you have the freedom to adjust the aerating fountain to fit your pond, weather conditions, and your tastes. 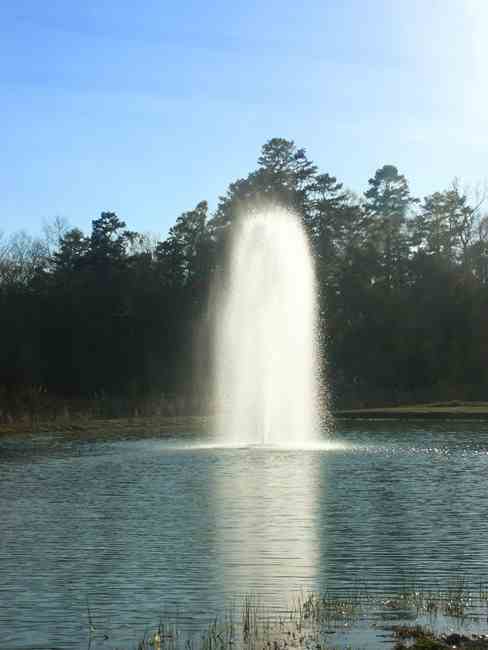 Kasco’s 5.1JF & 5.3JF Floating Aerating Fountains do a great job at adding oxygen and improving your pond or lake aeration. 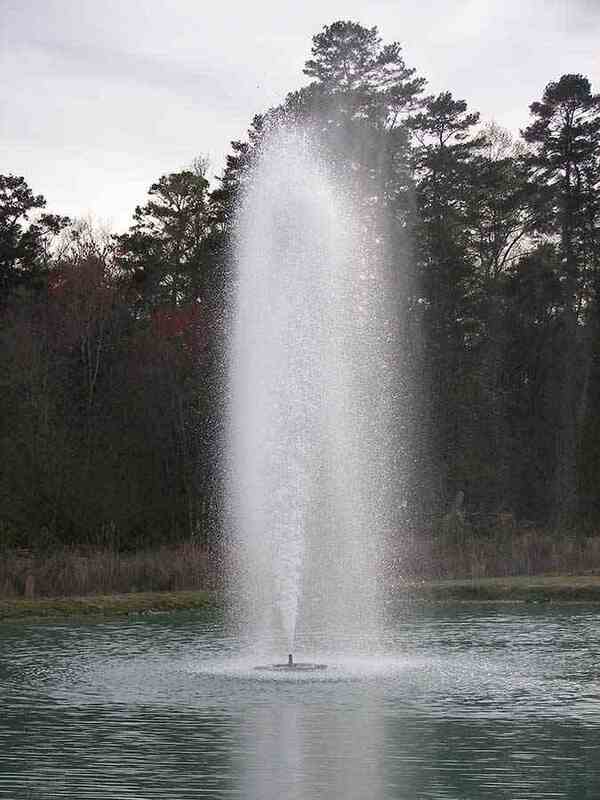 The 5.1JF Floating Aerating Fountain is available in a 240V single phase, 60Hz model and the 5.3JF is available in 208/240V, 3 phase 60Hz. The 5.3JF, 3 phase unit is supplied with a simple to use, all inclusive GFI protected 3 phase control panel, model CF-3235. 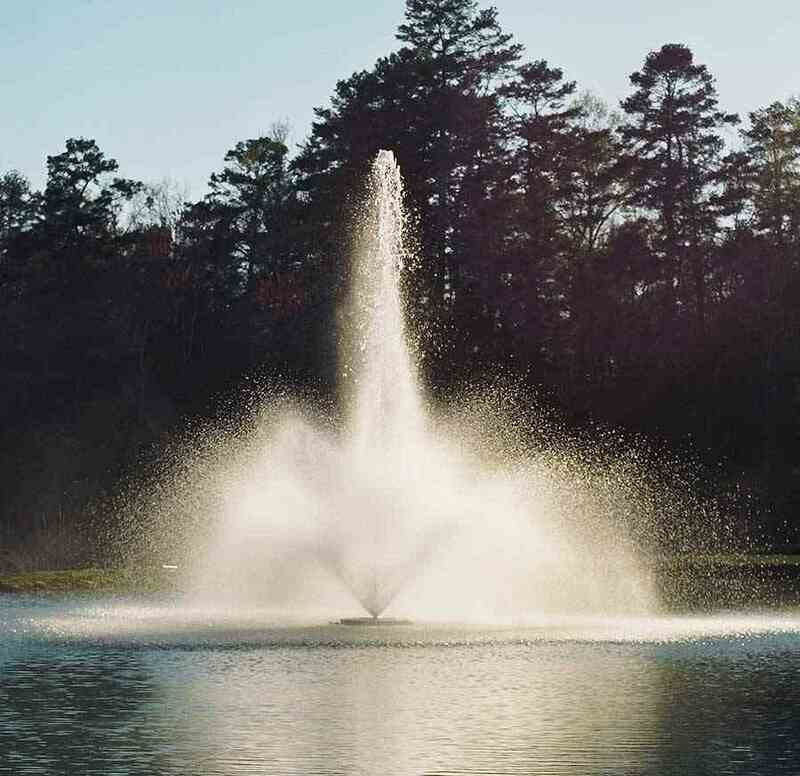 Adding one or two Fountain Lighting Package to the 5.1JF or 5.3JF adds a touch of class to this beautiful fountain display during the nighttime hours. Efficient / Low Power Use: Highest efficiency design for low power consumption versus competing units. Reduces operating costs over the entire life of the unit. 20 running amps on a 240V single phase circuit or 16 amps on a 208/240V 3 phase circuit for low operating costs. Clog Resistant: Unique water-deflecting nozzle design gives you the most clog-resistant model on the market. 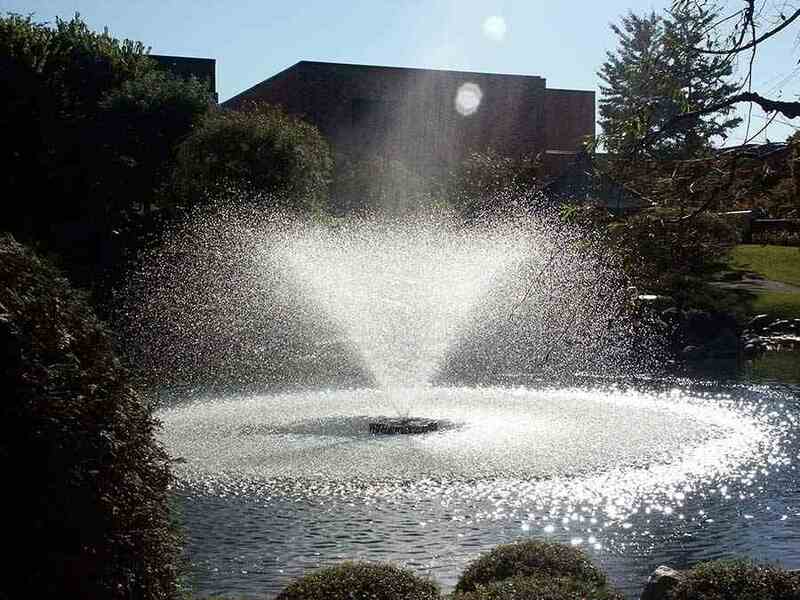 Successful shallow water operation in as little as 26″. Choice of Cord Lengths: SJTOW or SOOW underwater rated power cord length options of 100′, 150′, 200′, 250′, 300′, or 400′ (500′ special order) Includes three 50′ braided nylon mooring ropes.